Style really can be injected into just about anything–food, clothing, personality, and in this case, interiors. 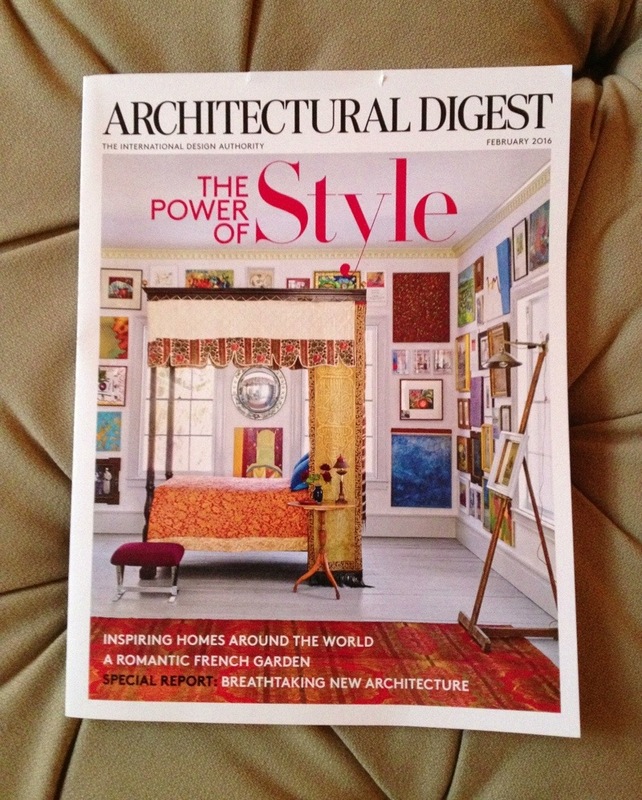 In the February of Architectural Digest, one such room heads to the top of the heap. No wonder it made the cover! It is in the Red Hook, New York (which is not terribly far from Hawthorne, and it is where we buy Bailey’s food) country home of Pieter Estersohn, photographer extraordinaire. While the entire Greek Revival house is pretty off the charts, the room that just makes it all sing is the art filled gallery/studio that doubles as guest quarters. Floor to ceiling artwork by his grandfather, mother, son and himself is on view. 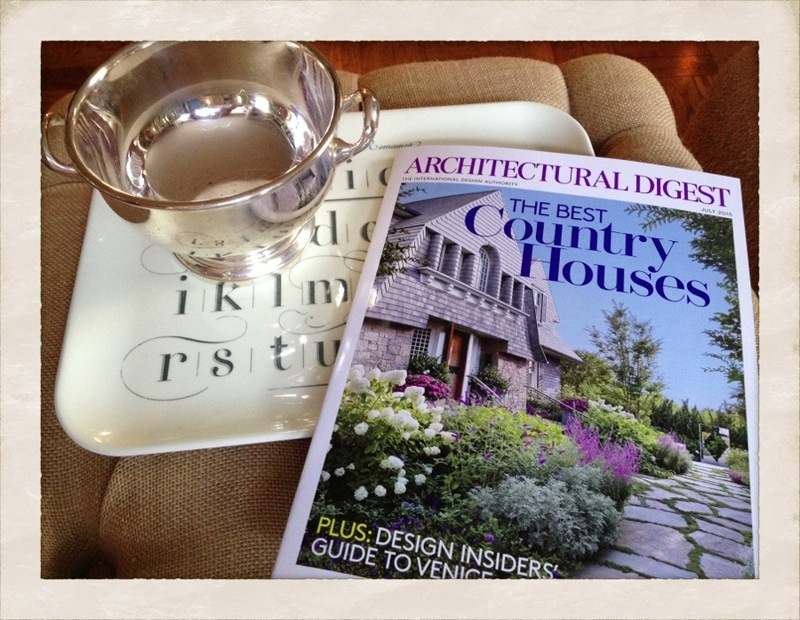 My number one design credo is that a home should be filled with only things you truly love. This home, and in particular, this room has it in spades. If you can get your hands on this issue (while standing at the grocery store check-out line, waiting at the dentist office, or if you subscribe) most certainly check it our for a hit of design happiness. Up & out early today heading to San Francisco for a few days of buying at the Fancy Food Show. I will report back on my finds and happenings of a city near and dear to my heart.